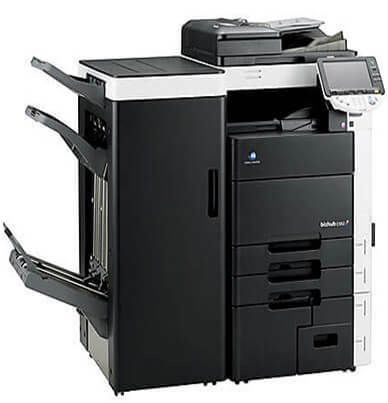 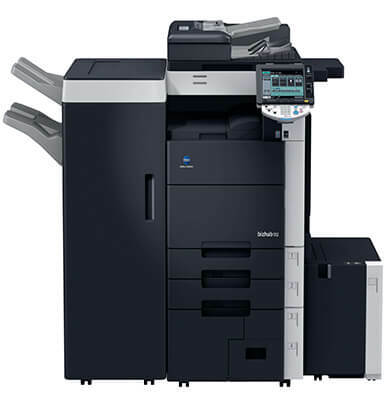 The Konica Minolta Bizhub 652 multi functional capabilities include copying, printing, and scanning. Enhance the Bizhub 652 with fax and a variety of finishing capabilities. 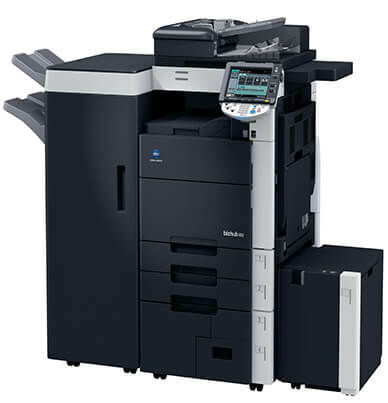 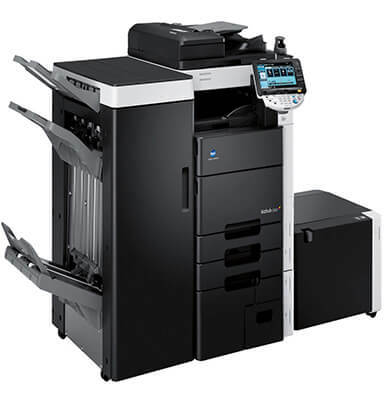 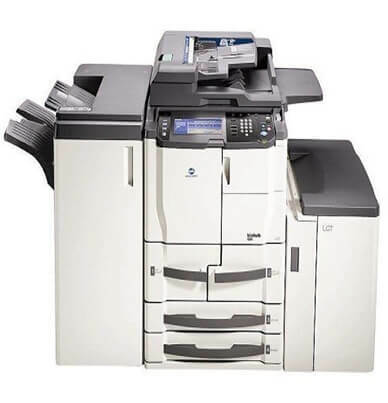 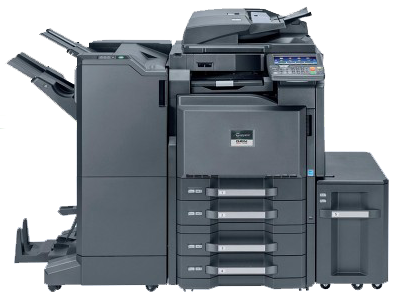 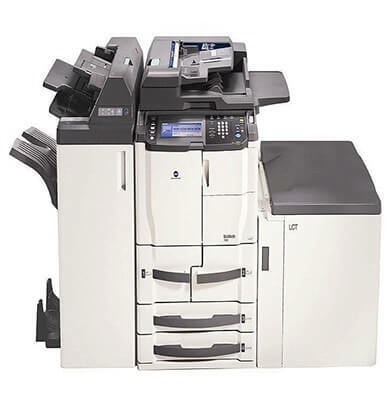 Konica Minolta reduces cost per page and saves money with the generous yield. 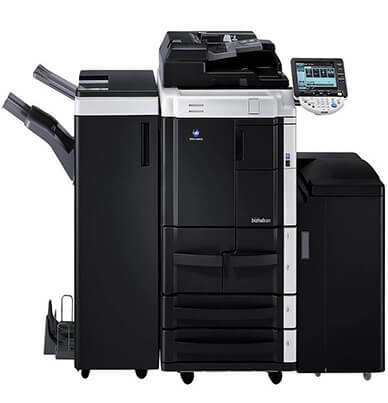 The Bizhub 652 black toner cartridge delivers an estimated 37,500 pages with 5% page coverage. 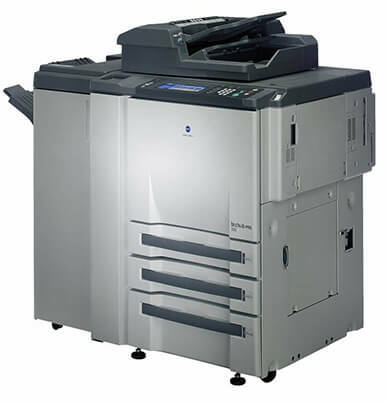 Bizhub 652 prints at a speed of 65 pages per minute and average starting time is between 3 to 8 seconds. 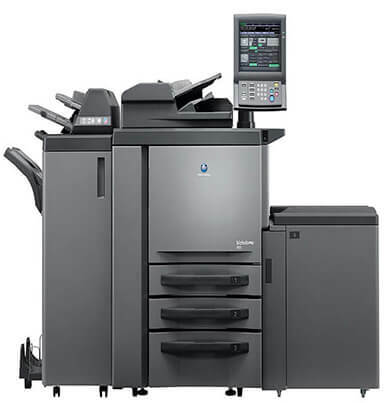 Bizhub 652 has four drawer configuration that can contain 3,500 sheets of paper and the 150-sheet bypass tray that can process specialized media. 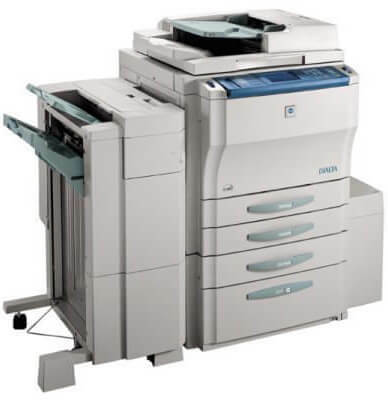 The Konica Minolta Bizhub 652 has optional large capacity trays can increase the paper capacity up to 6,650-sheets for longer uninterrupted print runs. 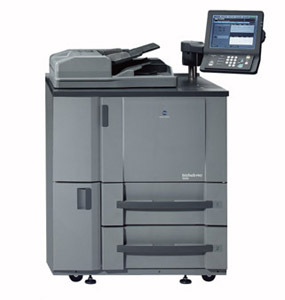 Konica Minolta Bizhub 652 usually required where a large number of copy is needed everyday. 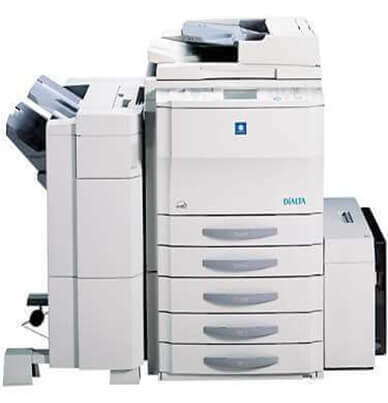 Konica Minolta’s Optimized Print Services (OPS) combine consulting, hardware, software, implementation and workflow management in order to lower document spend.